The Palmetum goes towards an unpredictable future. About four million euros were spent during the phase of development until the paralysis. Now new funding is needed to finish the project. The gardens miss tags, informative signs, pavements, handrails, benches and garbage bins. 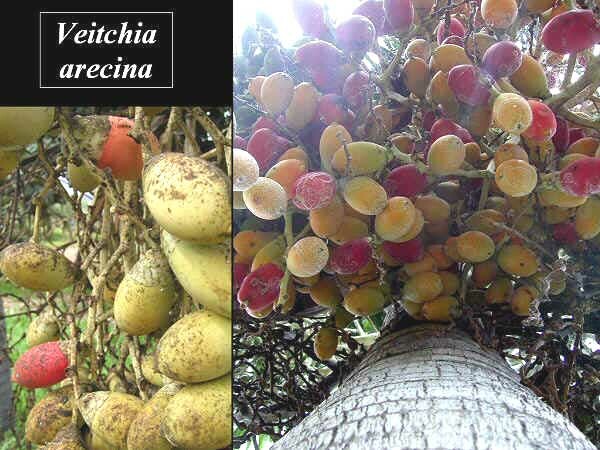 The collection must be restored to finally reach the desired number of 500 palm species. More than one hectare of useful garden surface has yet to be landscaped, as well as more hectares of service hillsides. Herbaceous plants which are now stored in the greenhouse have yet to be planted. They will add life and colour to the geographical sections which now are mature gardens with tall palms. Most concrete structures need restoring, as well as the dome of the octagon which has lost its shadecloth. The Ethnographical Museum is totally empty. The valuable collection of palm objects must have a dignitary emplacement. The original project took in account the creation of a School of Gardening and Landscaping. That never happened but the still closed Palmetum, has already caused sensation in the professional sector of green spaces: everybody wants a waterfall like those of the Palmetum. 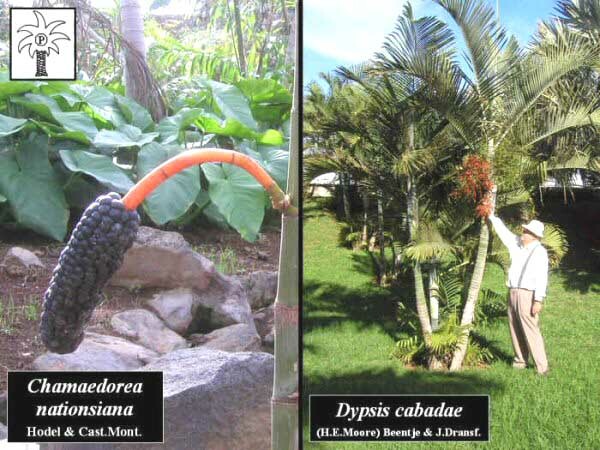 The international community is anxiously looking forward its opening the French palm society Fous de Palmiers, visited it in late 2004 and the International Palm Society has shown its interest to take to Tenerife its biennial meeting of the year 2010. The Spanish Botanic Gardens Networks wonders when it will be able to adopt this new institution, which would be the first one emplaced on the southern coast of one of the Canaries. For this reason it will be the one that can keep successfully most tropical species. All we who have worked on this project wish that the mountain will become a true Botanical Garden, modern and financially self-sustainable, with a permanent technical staff to keep high the quality of maintenance and research and take care the cultural and recreational issues. From the overlooks of the Palmetum, located on the highest point on the coastline, visitors will admire the best views to the ocean, to the city and to the whole island with its 3.718 m tall majestic Teide. The informal landscape design, with streams, waterfalls, lakes and beaches will make the Palmetum a unique place in this world. In the deep hearth of a city, people will be able to walk through South American forests on silent hills and bridges. In the total quietness of a park they could drink a rhum with guarapo in the restaurant of the Caribbean section and then admire breadfruit trees of the Fidjian area. They could try desserts sweetened with the endemic palm honey from the island of La Gomera and definitively enjoy one of the most beautiful gardens of the world. One of the geographical sections is dedicated to Phoenix canariensis and the Canarian termophilous scrub. 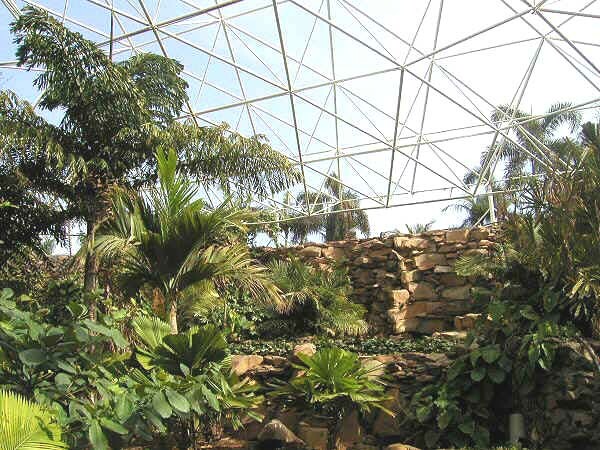 The Palmetum will host the first Canarian garden in Santa Cruz and will be committed to represent and spread the knowledge about the native flora in a city which is becoming more and more modern and needs to strengthen the contact with its roots. The hard part is gone and the experiment is over: now we know that palms do well on the hill, which has matured through the years. This space must accomplish its main objectives: to be a botanical garden and a grand public park. It is not convertible into something else because the biological and technological infrastructure is so solid that it would be expensive and absurd to demolish and substitute. Its proximity to the new auditorium must be a warranty of cultural quality. It would not be viable to think about competing with the existing commercial theme parks. The island of Tenerife already has many and the ongoing new private projects are simply pharaonical, such as the courses of Golf Abama or the zoological theme park Loro Parque Dos. When this raw diamond will be polished, the citizens of Santa Cruz and the best tourists of the world will take a walk though one of the best gardens on earth. Average Yearly Rainfall: 230 mm = 9 inches, during winter.